Winter came late to the Loveland/Fort Collins area this year! In fact, we set a record for one of the driest Octobers on record. 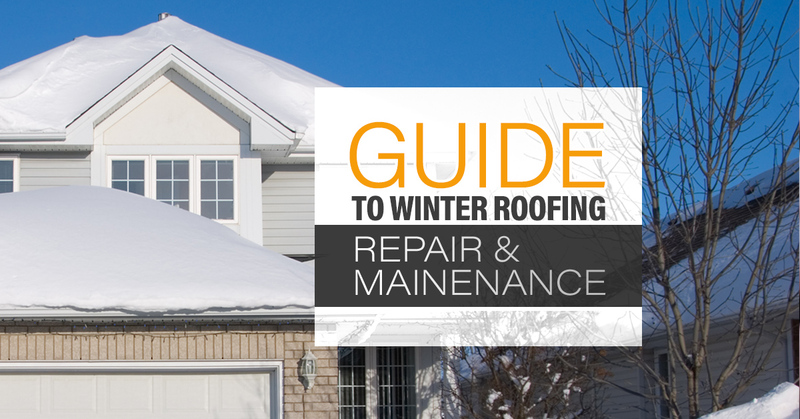 But rest assured, winter is coming, and with it comes a lot of snow, ice, and wind that could wreak havoc on your roof. Schroeder Roofing in Loveland has put together this guide to help you protect and maintain your roof during the harsh Colorado winter. Your gutters have an important role to play in protecting your home and roof from winter storm damage. Not just for spring rains, the gutters will be responsible for helping direct the snow melt off of your roof and away from your home. You know how unpredictable winter weather can be in Colorado; snow one day, shorts weather the next. Make sure your gutters are clear and ready to handle all the melting snow. Clear debris left from fall storms. Make sure your roof is clear of any debris that had been left on it from the autumn season. This includes sticks, leaves, and anything else that’s made its way onto the roof. This debris could cause problems for you later in the season by creating damage to your roofing materials and making your roof vulnerable to leaks. Ideally, you’ll want to do this after every storm. Before the heavy winter storms hit, make sure the insulation in your attic is in good shape. Check for signs of any leaks and replace any insulation that needs to be replaced. This will help keep your energy bills low and help your roof perform better in the cold winter months. Examine your roof for damage. Make sure you are going into the winter season damage-free. It’s a good idea to have your roof professionally inspected, especially if you suspect there could be an issue. It’s better to find out now than when there is a huge snow storm. Instead of getting up on the roof yourself, which could result in an accident or injury, grab a pair of binoculars and use them to get an up-close view of your roof. Examine your roof from across the street or down the road a little way so you can get a good overall view of the space. Start from one side and move your gaze across the roof, looking for signs of damage. This could include missing shingles, cracks in gutters, signs of leaks or animal damage, or anything else that seems out of place. The best time to call our roofing team in Loveland is as soon as you discover any damage to your roof. The sooner you address a repair need, the less it’s likely to cost you to have the work done. That’s because roof damage can become very serious very quickly by making your home vulnerable to pests, water damage, and other costly repairs. If you find roof damage or even suspect it’s there, it’s time to call the roofing team at Schroeder Roofing Co. in Loveland and Fort Collins. If you have problems with your roof this winter, get in touch with our roofing team in Loveland. You can give us a call at 970-224-3331 or contact us through our website. We’ll get the important information from you and give you a free estimate on the cost of your roofing needs. We’ve been serving the Northern Colorado community since 1977, so you can count on us to provide top-quality customer service and excellent finished results for your roof. Get your free estimate on roofing in Loveland today!